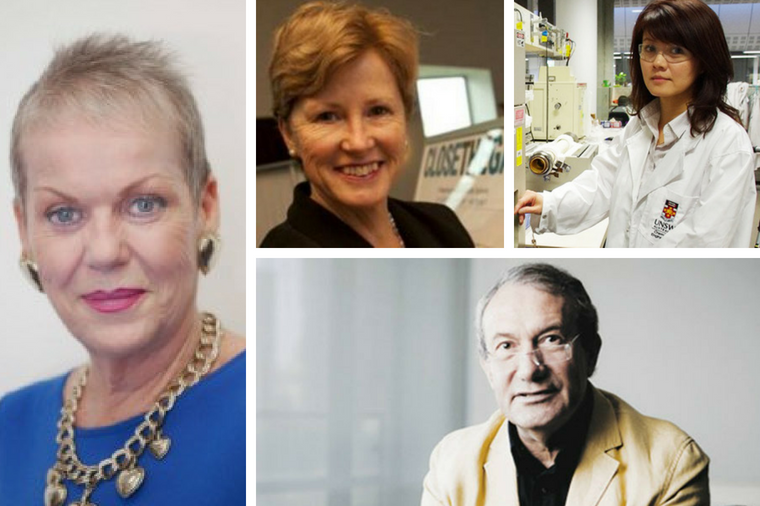 Built environment and sustainability champions have been lauded in the 2018 Queen’s Birthday honours list. The Australian Sustainable Built Environment Council has cause for celebration, with two of its members taking home Officer of the Order of Australia (AO) titles. ASBEC president Professor Ken Maher was acknowledged for “distinguished service to architecture and landscape design, particularly through urban infrastructure projects, and to environmental sustainability in planning”. Mr Maher is past chair and current fellow of design firm HASSELL, board member for the CRC for Low Carbon Living and founding board member of the Green Building Council of Australia. ASBEC co-founder Jane Montgomery-Hribar also received an AO for “distinguished service to the building and construction sector, particularly in the areas of project procurement and industry standards, through executive roles, and as a mentor of women”. Mrs Montgomery-Hribar is a co-creator of ASBEC, former executive director of the Australasian Procurement and Construction Council, and founding member of the National Association of Women in Construction (NAWIC). “The Australian Sustainable Built Environment Council is very proud to be led by individuals like Ken and Jane, who embody the boldness, perseverance, intelligence and humility required to build a more liveable, sustainable and resilient Australia,” ASBEC executive director Suzanne Toumbourou said. Former Greens leader Christine Milne also gained an AO for “distinguished service to the Australian and Tasmanian Parliaments, and through domestic and global contributions to the protection and preservation of the natural environment”. The University of NSW’s Professor Rose Amal was awarded a coveted companion of the order of Australia (AC) for “eminent service to chemical engineering, particularly in the field of particle technology, through seminal contributions to photocatalysis, to education as a researcher and academic, and to women in science as a role model and mentor”. Her research looks at how sunlight can turn carbon dioxide into a renewable fuel source. Jenny Kee for “distinguished service to the Australian fashion industry as a textile artist and clothing designer, and through contributions to the environment and conservation. Robyn Kruk for “distinguished service to public administration, particularly through mental health reform, to environmental protection and natural resource management, and to food standards”. Dr David Cook for “distinguished service to the technological sciences, and to engineering, through corporate governance roles, and to the building and construction sector”. Adjunct Professor David Goldney for “significant service to tertiary education in the field of environmental science, and to conservation through resource management committees”. Kenneth and Micheline-NicoleJenner for “significant service to conservation and the environment, particularly whale research in Western Australia”. Dr Godfrey Letts for “significant service to politics and government in the Northern Territory, and to conservation and the environment”. Andrew Marshall for “significant service to the building and construction industry through professional organisations, to academia, and to the Anglican Church of Australia”. Damian Rogers for “distinguished service to the technological sciences, and to engineering, through corporate governance roles, and to the building and construction sector”. Peter Seamer for “significant service to urban and regional planning and design, to public administration, and to local government”. Reece Waldock for “significant service to public administration, particularly to transport and infrastructure planning and development in Western Australia, and to the community”. Dr Geoffrey Williams for “significant service to conservation and the environment as an ecologist, biologist, author and wildlife refuge custodian”. John Asquith, Dene Cordes, Richard Fuller, Maria Hitchcock, Margaret Ning, Alison Russell-French and the late Dr Norman Curtis for “service to conservation and the environment”. Brendon Collins, David Grenfell, Gregory McLean and Glenn Simpson for “service to the building and construction industry”. Tony De Domenico for “service to urban planning, research and development in Victoria”. Adjunct Professor Victor Feros for “service to town planning”. Alfred Wheeler for “service to landscape architecture and urban planning”. Natalie Kyriacou for “service to wildlife and environmental conservation education”. Robert Wilson for “service to recreational cycling planning and standards”.